A.R.P. 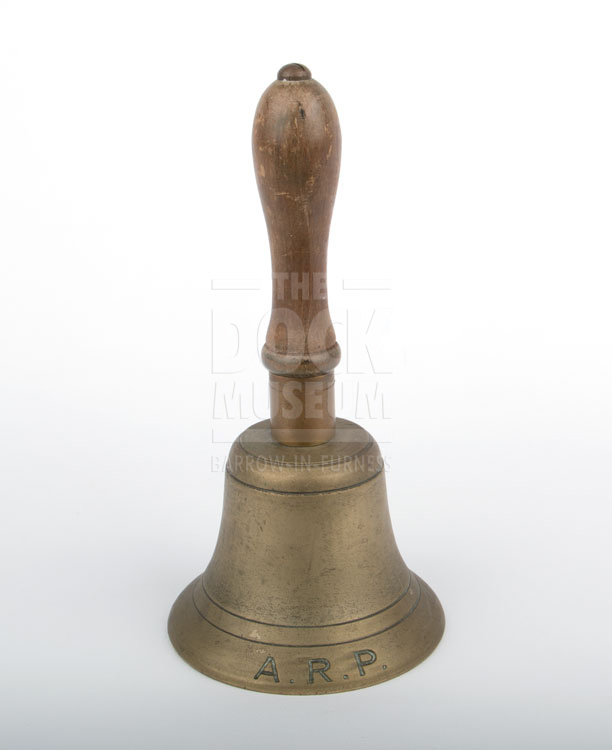 (Air Raid Precautions) bell used to sound the “All Clear” in Barrow during the Second World War. This meant that it was now safe to go out of the air raid shelter.